Imagine the entire world is covered in billions of tiles. How many can you open up? Strut is a game of exploration where you compete with other players around the world to uncover the map of the earth. Whether you walk, run, bike, drive, sail, ride a goat or take a hot air balloon, use Strut to keep track of exactly where you've been in the world. Share your map with friends, or keep your wanderings private... we won't tell. Take a new route to work. Go down that street you never walked through. Visit every nook and cranny of your city. See more of your neighborhood – who knows what you might find? Strut around, level up and climb to the top of the leaderboards – there's a top 10 for every city, state, country, and the entire world. There are also a ton of medals to earn, so keep exploring and see what pops up in your adventures around the globe. 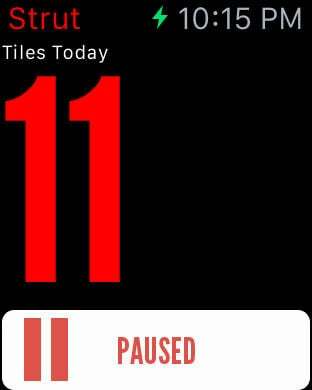 You can also now keep track of your tile counts and your Strutting status on your Apple Watch! *Please note that continued use of GPS running in the background could dramatically decrease battery life.